I mean, why not just run to my local butcher or Whole Foods? I’ve ordered quinoa and other “dry” foods online, but fish and meat? “Oh look honey, the UPS man delivered our wild-caught tuna this afternoon.” Sounds kind of strange, huh? Then I met Jeff Moore, owner of Wild Things Seafood. Moore had developed quite a reputation at this event as the go-to fish guy. Impressing this upper-echelon healthcare crowd was quite a feat. Wanting in on the action, I took the leap and walked over to pick his brain. Turns out, Moore knows fish probably better than anyone I’ve met. This guy carries an encyclopedic knowledge about all things fish. Did you know sometimes farm-raised fish is okay, and that wild-caught could really come from another country than the package claims? I didn’t until I talked to Moore. I eat meat, but the more I read about abysmal conditions within the industry, the more I maintain if you eat meat, you should buy the best quality even if it costs more. Know your supplier and refuse anything that hasn’t been raised its natural diet. As my friend JJ Virgin says, you eat what your meat ate. Cows and fish shouldn’t consume soy, wheat, corn, and other cheap-o ingredients that fatten animals up quicker to slaughter. Experts confirm my opinion. 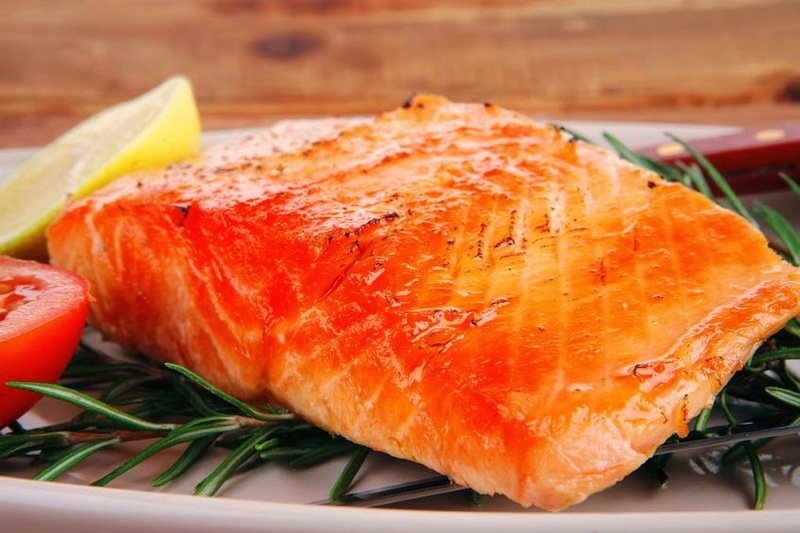 According to Dr. Joseph Mercola, wild-caught salmon proves superior to farm-raised for its nutrient density, fish health, and environmental impact. And a 2010 study conducted by the United States Department of Agriculture (USDA) and Clemson University found grass-fed beef contains more nutrients, omega 3 fatty acids, and fat-burning conjugated linoleic acid (CLA) than grain-fed beef. poisoning? “I told you buying online meat was a bad idea!” I could hear my fiancé telling me in the emergency room. Quite the opposite happened. A few days later, a package containing beef, chicken, and fish arrived at my door. Impeccably wrapped, everything remained frozen even though it was a scorching 92-day August Los Angeles day. Turns out Wild Things has an amazing manufacturing process that guarantees wild-caught salmon, free-range chicken, and free-range grass-fed beef delivered as fresh as if you’d bought it at Whole Foods or your local butcher. I don’t normally buy into overhyped jargon on websites, but these guys delivered exactly what they promised. That night, we fired up the grill and enjoyed some of the best wild-caught salmon I’ve tasted. I served it on a bed of sautéed spinach with quinoa, and as I sipped a glass of chardonnay, I uttered what I never imagined I’d say. Now, I get what you’re thinking. Why not just go down to your local warehouse store and get the 10-pound frozen bag of salmon? After all, due to customer demand, many places now offer wild-caught options. For one, Costco doesn’t deliver to your door. Wild Things not only delivers, they offer impeccable customer service I don’t often experience these days. Moore stands by everything he sells, and their family-run business guarantees the best-quality fish, chicken, and beef you can buy. You’re supporting the country’s finest, most ethical farmers and fish suppliers when you order from Wild Things. Ordering online also saves me time and money. No more fighting traffic or waiting 30 minutes at Whole Foods for the butcher to take my number. Everything arrives quickly at my door, saving me hassle and frustration. Los Angeles has plenty of high-quality options, but if you’re not in a big city, finding high-quality meats and fish can become a problem. Wild Things solves that problem by delivering whether you live in New York or nowhere, Nebraska. Yeah, they’re a little more expensive than that 10-pound Costco bag of frozen salmon. But factor in time, gas, and other limitations of brick-and-mortar shops and you’ll find Wild Things ultimately provides an exceptional value. If you’re really budget-minded, have less meat and more organic veggies and non-gluten starches. Factor too how much you spend on Starbucks, bodegas, and other nutrient-empty choices. Personally, I’d rather brew my own coffee and spend my Starbucks money on grass-fed beef. It’s all about choices. I’ve found some great online companies to buy high-quality meat and fish, but I’m sticking with Wild Things because I remain amazed at Moore’s integrity and his products’ quality. In fact, they’ve spoiled me, and I could never go back to conventional seafood. I actually tested myself at a local upscale restaurant recently. Their (most likely farm-raised) salmon paled in comparison to wild-caught Wild Things salmon. I want to offer you that same top-of-the-line experience to try the highest-quality fresh seafood, poultry, and beef delivered right to your door. Check out Wild Things on my resource page, and let them know Jinifit recommended you. Would You Buy Fish Online? I thought it initially seemed weird, but now I’m totally hooked – drum roll, please – on buying fish and meat online. Have you ever ordered meat, fish, or other fresh foods online? If so, what was your experience? Share it below or on my Facebook fan page.